Nothing beats playing games to get to know a new acquaintance. Basketball was the game of choice when my oldest grandson, Bubby, recently met Bud, the son of my oldest daughter's boyfriend (and possibly Bubby's step-cousin... one day). 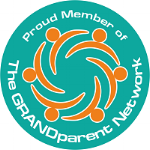 The game play was made all the more enjoyable for the fast friends, thanks to the GameDay Scoreboards I received free for review not long before the two boys arrived at my house for their introduction to one another. GameDay Scoreboards is, as the package says, "The Official Scoreboard of Driveway Basketball Games!" The digital scoreboard attaches quickly and easily to the basketball pole with Velcro straps and features a game clock with an official-sounding buzzer, blue LED backlighting and — endlessly fun for Bubby and Bud — a REF button that elicits a tough-guy ref making the call that settles debates on whether a player has been fouled or not. But that's not all! GameDay Scoreboards has 10 programmed games, everything from free play to a free throw contest, plus PIG, HORSE, Eleven, Nines, and a variety of timed games, scoring as one point or two per basket as players choose. The universal attachment fits most portable basketball poles and was simple to remove at the end of play so the GameDay device could be brought inside at night. It also made it simple for the GameDay Scoreboards to be removed from my basketball pole and packed up for Bubby to take home with him to attach to his basketball pole at home, to make practicing one of his favorite sports (basketball and baseball run a tight race with the kiddo) even more fun. Bubby and Bud gave GameDay Scoreboards double thumbs-up. As did Gramma, as it sure made the impromptu basketball games fun not only for Bubby and Bud but for recent adult visitors to my house, too, who enjoyed several games of HORSE in my driveway. GameDay Scoreboards would score as a super gift for the holidays for basketball players of all ages. The gadget retails for $29.99 and can be purchased on Amazon.com or directly from GameDayScoreboards.com. 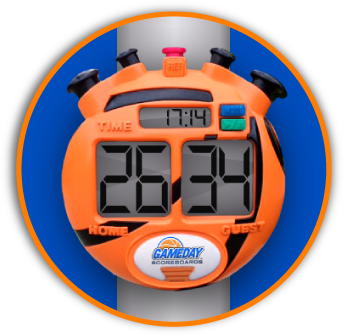 Find out more about this fun scoring device that gets kids away from screens and out and playing on the GameDay website or Facebook page. Want to win a GameDay Scoreboards ($29.99) for your favorite basketball player? Just leave a comment below and you're entered! Entries will be accepted through Friday, October 24. A random winner will be drawn October 25 and notified by email (so be sure to include your email address when leaving your comment (it won't be visible to others if included in the name/email spots for commenting). The prize will be shipped directly from GameDay Scoreboards. Disclosure: I received the product free for review, as well as the offer to give one away. Opinions are 100% mine and my mini reviewers'. Congratulations to comment No. 4 - Linda! She's the winner of the GameDay Scoreboards!